Coyote Glaze Test – part three! Coyote Glazes on dark brown clay! 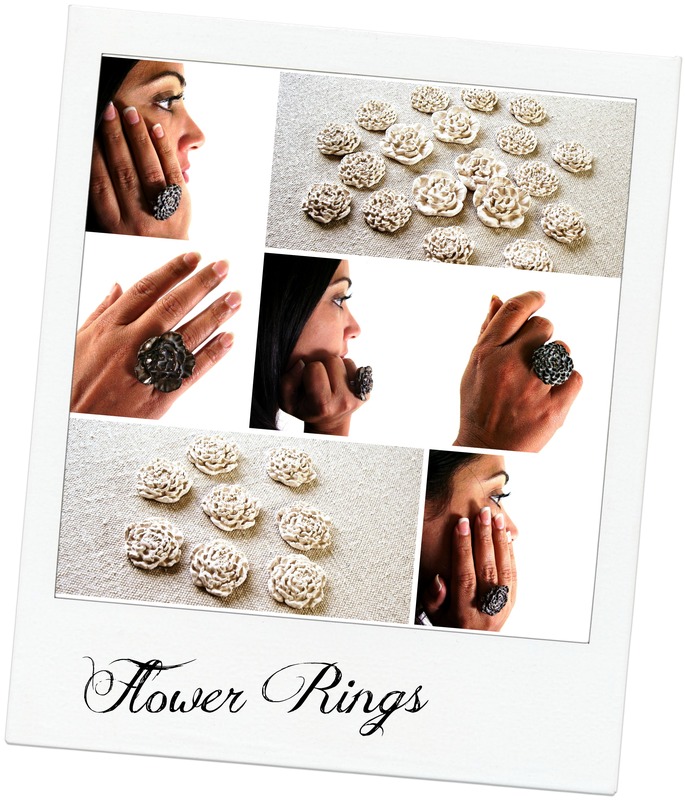 I love these flower rings, they came out great, and my daughter did a great job modeling them. These rings were glazed with light blue shino on dark brown clay. 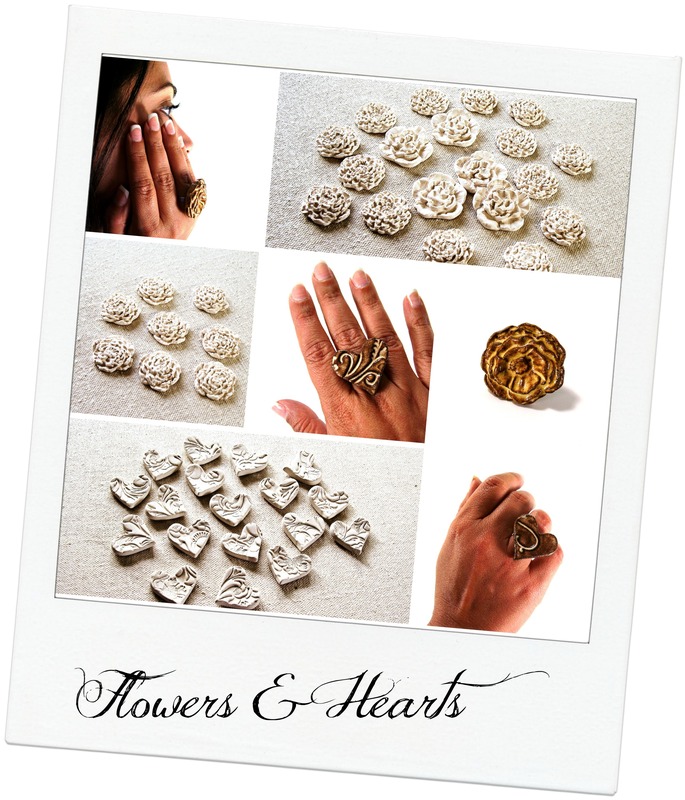 The vintage rose ring was made with dark brown clay, and glazed in goldenrod. The heart rings were made with dark brown clay also, and glazed in light shino. I love how the light shino shows inside the texture and the rest of the heart is brown, like chocolate kisses! This entry was posted in Uncategorized and tagged art studio, artist, artist workshop, blogspot, ceramics, clay, color, coyote glazes, designer, Etsy, facebook, fashion rings, flower rings, glaze testing, glazes, handmade, handmade rings, heart rings, Melinda Marie Alexander, photographer, photography, photos, pinterest, potter, pottery, Raven Hill Pottery, ravenhillpottery.etsy.com, texture, twitter, wordpress, workshop by ravenhillpottery. Bookmark the permalink. Beautiful. If I were this talented, I’d be a potter!! Keep up the great work. Nice Model! !